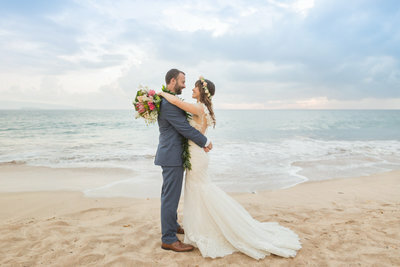 With a clear blue sky above and beautiful palm trees surrounding them, Alexa and Paul’s Oahu Venue Wedding was nothing short of perfection! It was inspiring to witness as this bride and groom expressed their love for each other in front of friends and family. It’s easy to see just by looking at this couple that the bond they share is unbreakable! We have no doubt they will have a wonderful life together 🙂 . 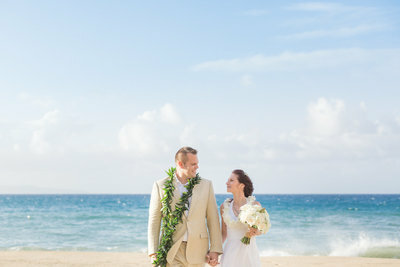 While here for their Oahu Venue Wedding, Alexa and Paul, were excited to explore the beauty of the island. They made plans to go kayaking, zip-lining, and deep-sea fishing. Plus take a tour of Pearl Harbor and a helicopter tour! Sounds like an absolute blast and the perfect way to honeymoon in paradise! 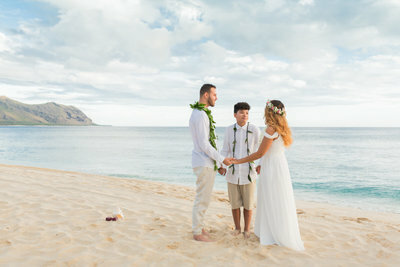 After spending a few moments alone for wedding portraits, our newlyweds headed to a celebratory luau for a memorable evening. What fun! 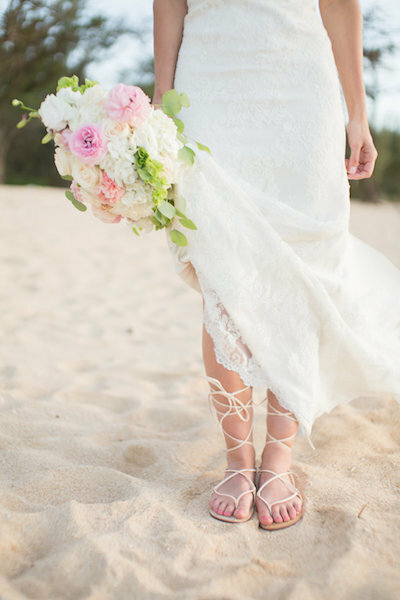 Thank you, Alexa and Paul, for giving Simple Oahu Wedding the opportunity to celebrate with you. Congratulations and Warm Aloha!